I’ve been trying to find photographs of my relatives so that I can make photo charts. RootsMagic has the capability to make photo descendant charts and I want to fill in as many faces as I can. I think it’s easier to grasp the family tree when you can associate a face with the name. This week I made a wonderful find. The B.M.C. 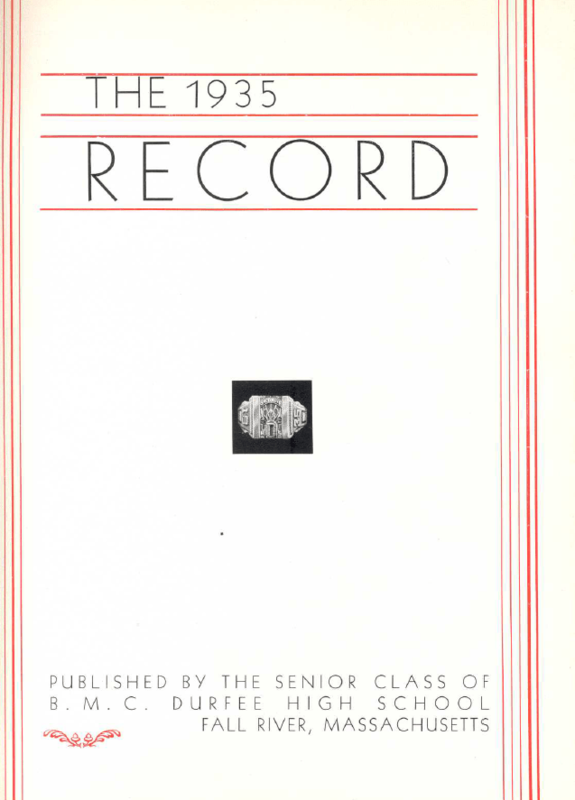 Durfee High School yearbooks (Fall River, Bristol Co., MA) are online for free at the Keeley Library website. B.M.C. Durfee is one of the schools that served the Fall River community. Many of the Portuguese living in Fall River attended this school. The collection includes portraits for 1898, 1900, and 1909 when there were no yearbooks. Then, the collection picks up with the first yearbook in 1912, skips to 1914 and 1915. The years from 1917 to 2014 are there in their entirety. I noticed that there are two volumes for Durfee Technical High School within this collection. Perhaps they will be adding more of those. The books have been digitized in their entirety. However, you cannot view them online. They are in PDF format and must be downloaded to your computer or device in order to view them. Once you click on a link, the download begins. Some files are large, so expect the download to take a couple of minutes depending on your connection. Once downloaded, click on the file to open it. It will open in Adobe Acrobat. From there you can scroll through the pages. Don’t rely on the search function within Adobe Acrobat. I have tried to do surname searches, but I get zero results. You’ll need to scroll through page by page to find the name you are looking for. A collection like this is incredibly important to genealogy. I have gone through several yearbooks. Brings back flashbacks of hours spent before a microfilm reader. I’ve got the red eyes to prove it! but it’s been worth it. With the help of a cousin, we’ve been able to identify a handful of cousins and mark others who are possibilities. Now if someone would do this for Oakland, California or Kauai, Hawaii, I’d have my whole family covered!